Westboro Baptist is a tiny church located in Topeka, Kan. 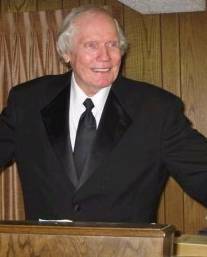 It is headed by Fred Phelps and the congregation is made up almost exclusively of his family. Phelps, a disbarred lawyer, has 13 children, 11 of which are lawyers. Interestingly, Phelps is a longtime Democrat. He was a Kansas Democratic organizer for years and was invited to and attended both of Bill Clinton’s inaugurations (although he protested at the second one). He has been protesting against gays for twenty years. On several occasions, Phelps has brought his church family to Georgia. In 2007, the church picketed the funeral of Capt. Hayes Clayton, Jr., an army soldier killed in Iraq. The service was moved at the last minute to accommodate the large crowd. Westboro didn’t get the word and picketed at the wrong location. In April and May 2010, the group returned to picket at several Atlanta area high schools, a Jewish Community Center leadership conference, Jewish Georgian magazine, and a Cinco de Mayo rock music festival. In September 2010, Westboro also planned to picket the funeral of Denver Bronco, Kenny McKinley, in Austell. Westboro and Phelps come under fire from both sides of the political spectrum. Leftists oppose their over-the-top and offensive rhetoric. Conservatives oppose their targeting of military funerals which subjects the grieving families to even more pain and hardship. Ironically, the soldiers who have died were most likely not gay, since Congress only repealed the Don’t Ask – Don’t Tell policy in December 2010. Further, Christians oppose Westboro’s twisted interpretation scripture and their use of the Bible to promote hate. Although the Bible clearly states that homosexuality is immoral and a sin, it also makes a distinction between sin and sinners. 1 John 4 repeatedly states that God is love and that those who do not love do not know God. Christ died equally for the sins of homosexuals and Westboro church members. Last week’s Supreme Court decision focused on the Constitution rather than the Bible, however. 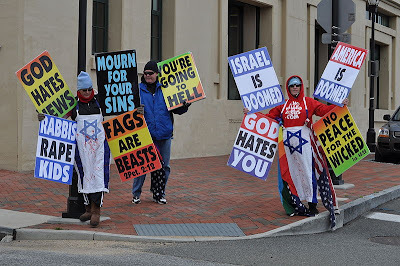 The majority held that Westboro’s protests are protected by the First Amendment freedom of speech since they addressed matters of public policy and occurred on public property. Justice Samuel Alito was the only dissenter on the grounds that plaintiff Albert Snyder, father of deceased Marine Lance Corporal Matthew Snyder, was a private citizen and not a public figure. Ultimately, the case was correctly decided. Unpopular speech like that of Westboro is most in danger of being stifled and thus most in need of constitutional protections. There are ways of dealing with Westboro without infringing on their right to free speech. For example, Chief Justice Roberts noted that state laws against funeral picketing could be considered constitutional if they do not focus on the content or purpose of the picketing. Additionally, private volunteer organizations like the Patriot Guard Riders can form a screen between protesters and mourners at funerals. Georgia’s chapter of the Patriot Guard Riders has protected several functions from Westboro. The group escorted 1 Lt. Dan Berschinski, an army soldier who lost both legs in Afghanistan, to homecoming ceremonies in Fayetteville in 2010. They also participated in Memorial Day ceremonies at the Georgia National Ceremony in Canton and the Vietnam Veterans Welcome Home Day at Fort Benning in 2010. 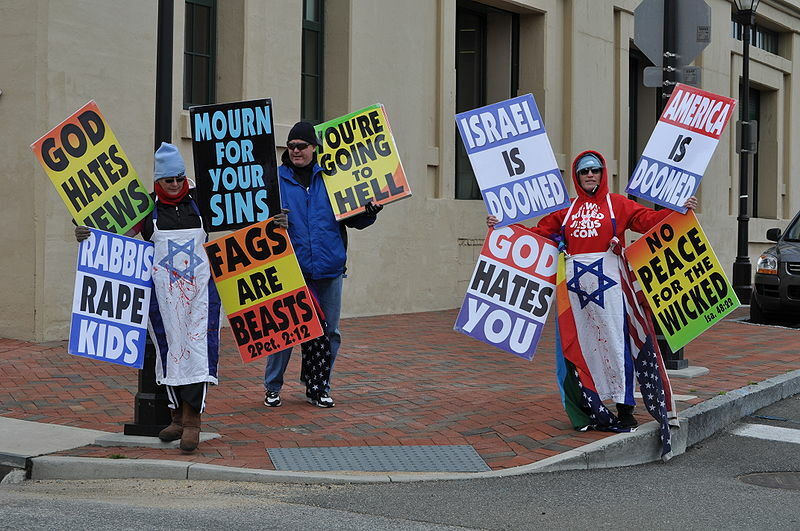 Other groups often form counterdemonstrations where Westboro pickets as well. At its core, the First Amendment is about the free exchange of ideas without fear of government reprisal. As Voltaire said, “I may disagree with what you have to say, but I shall defend to the death your right to say it.” Phelps and Westboro should be allowed to speak, but they should be ignored. Their outrageous antics are designed to attract publicity and media coverage. Ignore them and hopefully they will go away. At the same time, both sides of the political spectrum should distance themselves from Westboro. Leftists should point out that they appreciate the sacrifice of U.S. military veterans, including those serving in Iraq and Afghanistan. Likewise, conservatives should point out that support for traditional marriage is not based on hatred or fear of gays. Christians should emphasize the fact that God loves all people, even while He hates our sin. For an explanation of the Christian position on gay rights and traditional marriage (as well as the sanctity of life and religious freedom), read the Manhattan Declaration here. Sign it to support traditional marriage.